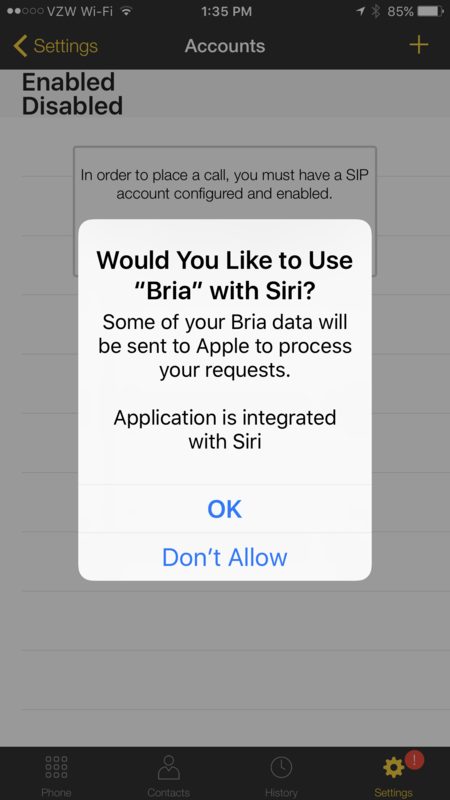 Here are the step-by-step instructions on how to use Counterpath Bria with iOS 9.0 or later running on an iPhone, iPad or iPod Touch. 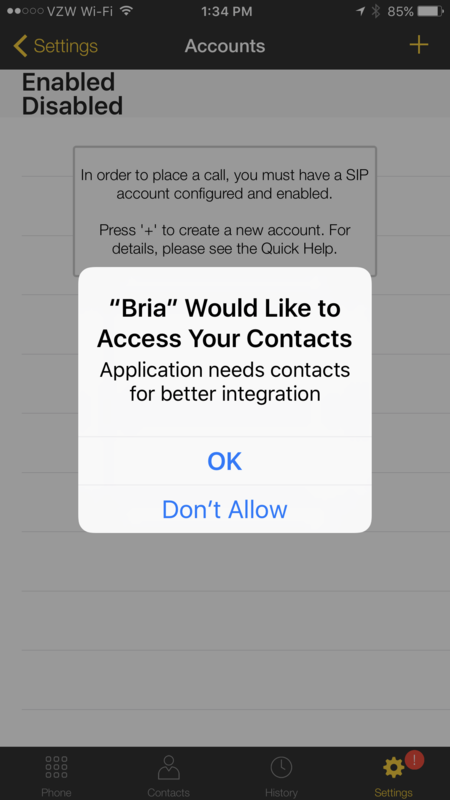 In case you want the full Counterpath Bria for iPhone User Manual, here is the link. 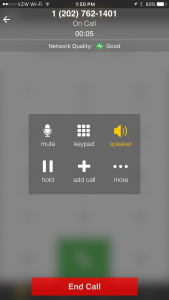 We have set up most softphone users to have their extra devices ring simultaneously when your main extension or direct dial number is called. When you pick up the call on one of your devices, then the “race” ends and the other phones stop ringing. The caller won’t know you’re not sitting at your desk unless you tell them. 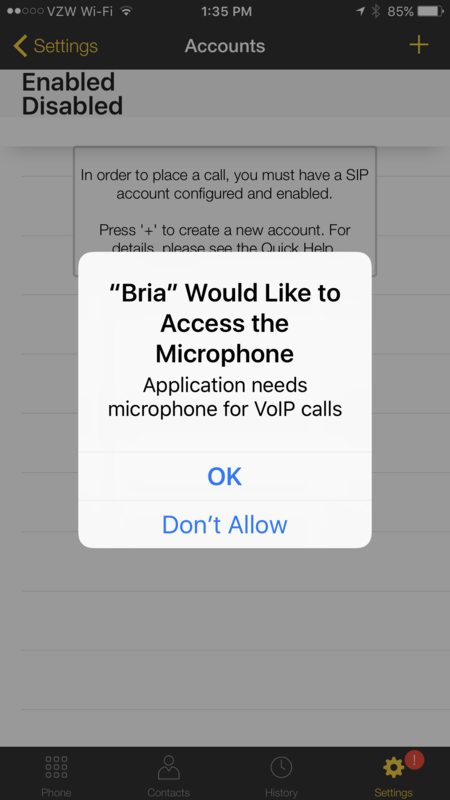 Launch the App Store, tap Search and enter “Bria” into the search bar. 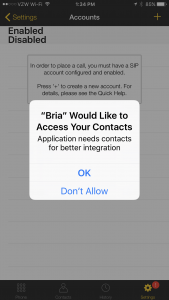 Tap the first item labeled “Bria”, and you should land on this App Store item. Click Get and authorize the $7.99 payment to complete the download. Here is a direct link. 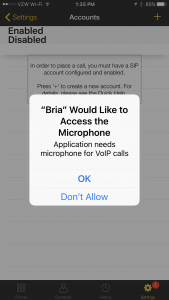 Launch the Bria app. When it starts up for the first time several permission requests will pop up. Be sure to tap OK for all the prompts. 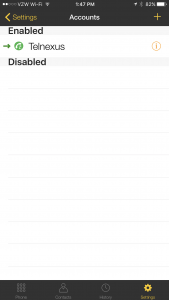 When the permissions are acknowledged, you will be presented with an empty Accounts screen. Tap the icon to add a new account. 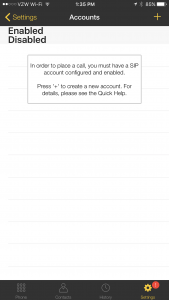 Fill out the New Account screen with your Telnexus account information. 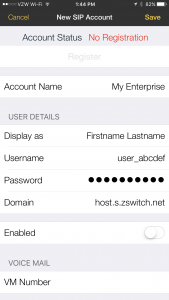 You can enter your organization name for Account Name, and your name or organization name for the “Display As” field. 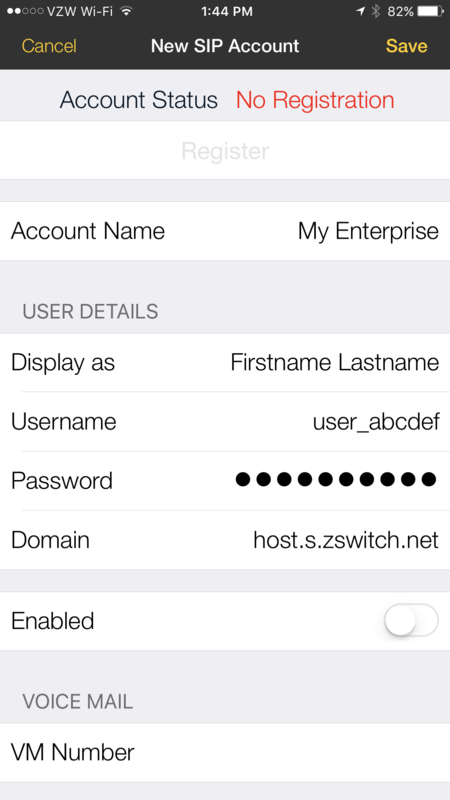 Tap the switch next to “Enabled,” and your phone will attempt to register with the Telnexus servers. 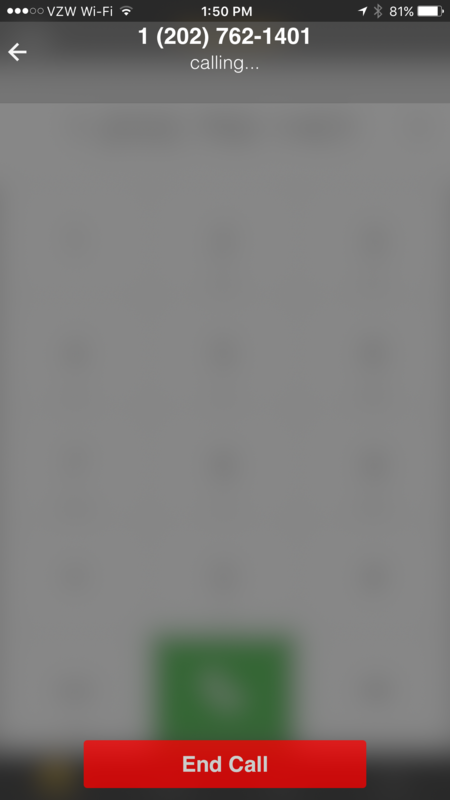 The Account Status at the top of the screen should indicate Registered. If there is an error, please double-check your username, password and domain settings. Re-enter your credentials again if you continue to have problems. If you get stuck, be sure to call Telnexus for help at (510) 859-7000. 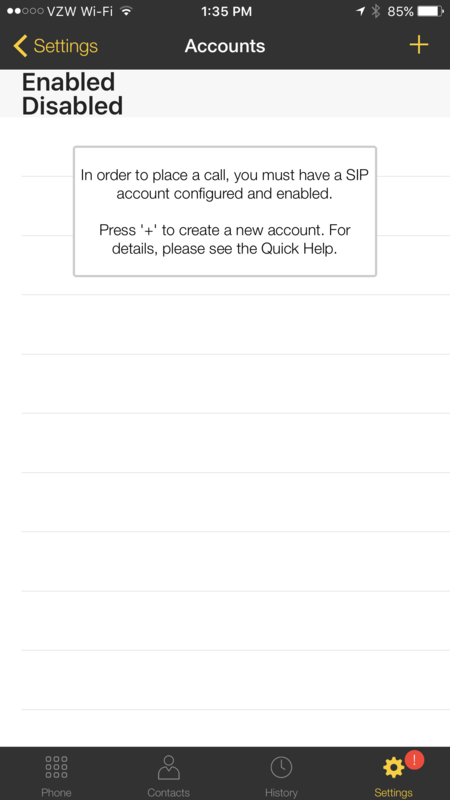 After a successful registration tap Save, and you should get a screen similar to this which indicates your account is configured and ready to use. Now you’re ready to make a call! 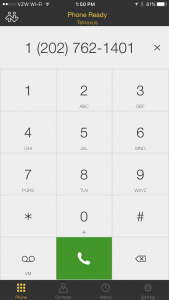 Tap the Phone icon on the bottom of the screen to call up the dialer. 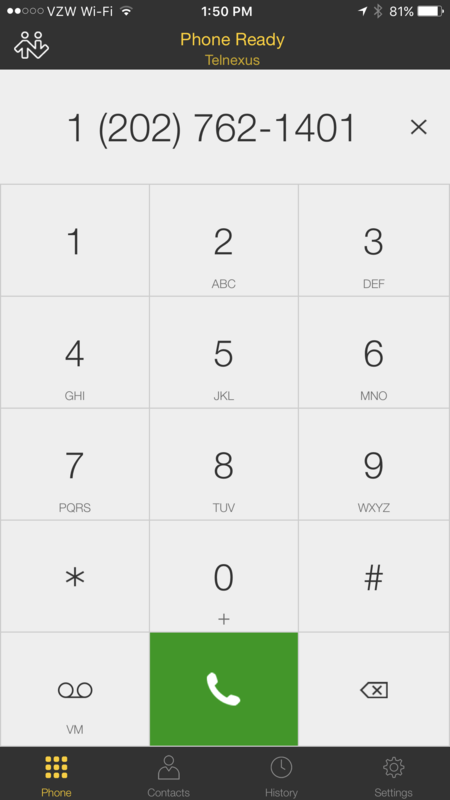 Enter a telephone number as you normally would, and tap the green phone icon when you are ready. 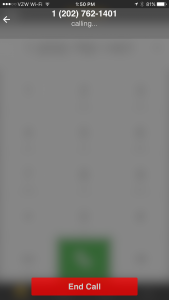 Tap End Call to terminate the call. 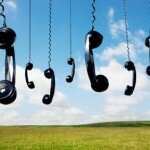 Your softphone is now set up to make and receive calls. 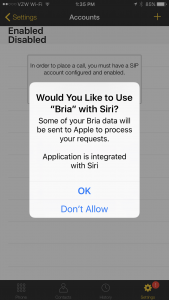 There are many settings within Bria that will optimize the use of bandwidth depending on whether you are on a cellular or WiFi connection. 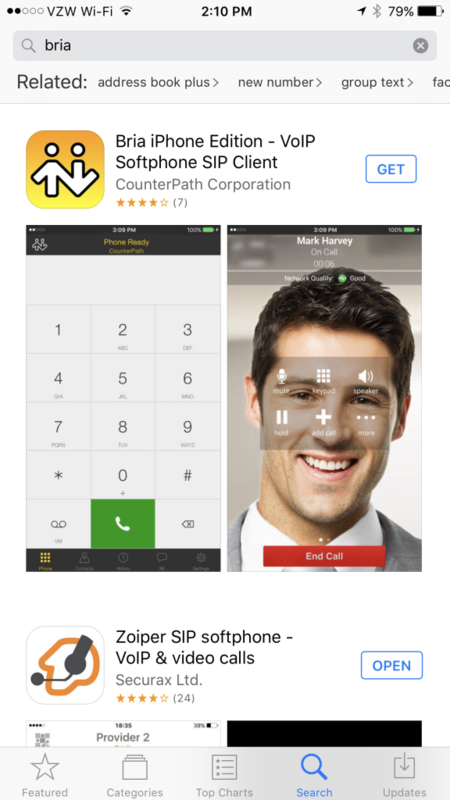 If you’re curious, be sure to consult Counterpath Bria for iPhone User Manual or call Telnexus support at (510) 859-7000.